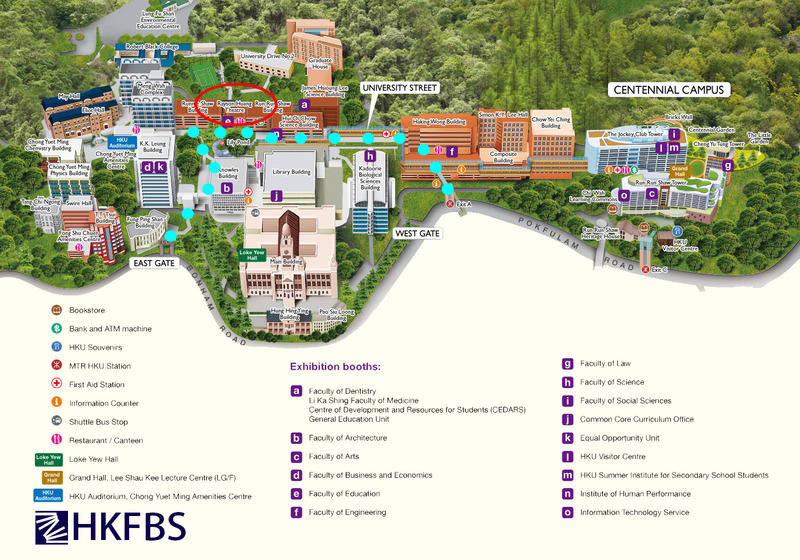 The 35th Inauguration Ceremony was successfully held on March 30, 2019, at Rayson Huang Theatre, The University of Hong Kong. 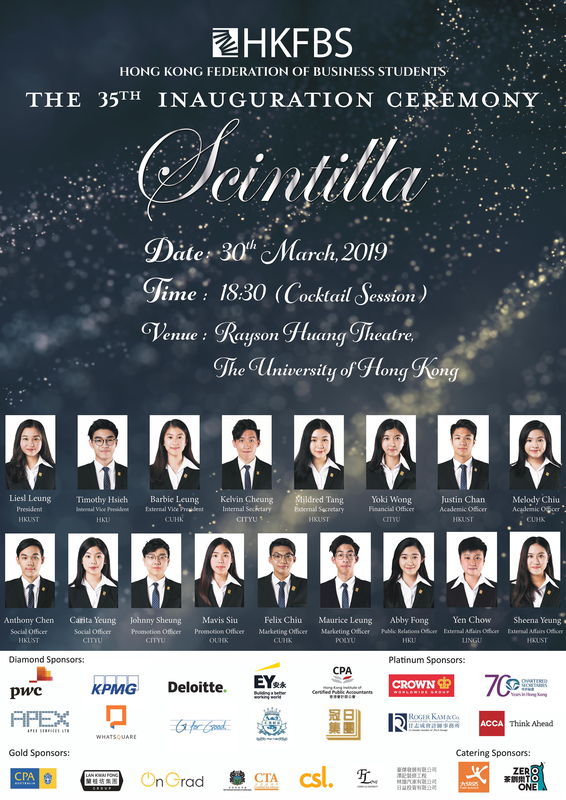 "Scintilla", spark, symbolises the great passion of HKFBS as the flint and steel in lighting a spark in business undergraduates and stimulating their holistic development through organising academic, social and career-related activities. Throughout the year, the new session will transform these sparks into flames, igniting our 15,000 members' business acumen. The successful Inauguration Ceremony marks the new beginning of the Federation, as we strive to uphold the professionalism established by our predecessors, as well as to excel in all areas. We hereby sincerely express our deepest gratitude to all the distinguished guests that have witnessed the beginning of Session 2019-2020 and inspired so many, including our Guest of Honour – Mr. Liu Chun-san, JP; our Honourable Guest Speakers – Mr. Kenny Koo and Mr. Raymund Chao; as well as all Honourable Guests. We are thankful for the presence of our Sponsors, past Executive Committee members, representatives from Member Societies, and other business student societies that have given us immense support, making the evening a memorable one. We are also absolutely delighted to receive the endorsements from multiple prominent figures who have been contributing much to the society, with the likes of Mr. Philip Tsai, Dr. Allan Zeman, GBM, GBS, JP, Mr. Kevin Sneader, Mr. Eric Chan, Mr. Peter Wong Tung-shun, JP, Mr. Ashley Alder, JP. It is our honour to receive blessings from leaders of different industries.